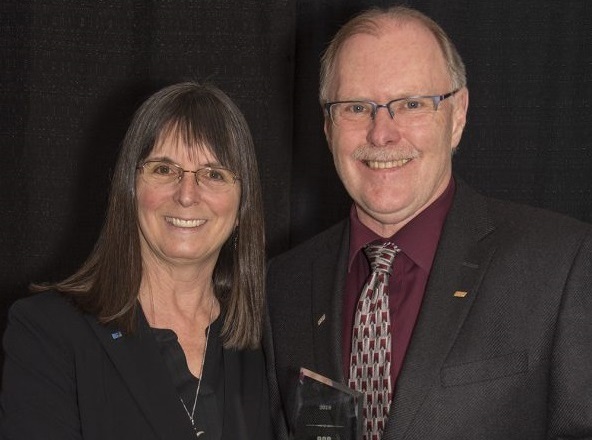 Bob Craven, pictured with his wife Lisa Perrault, received the Distinguished Forest Professional Award in Kamloops. Photo courtesy of the Association of BC Forest Professionals. CAMPBELL RIVER, B.C. 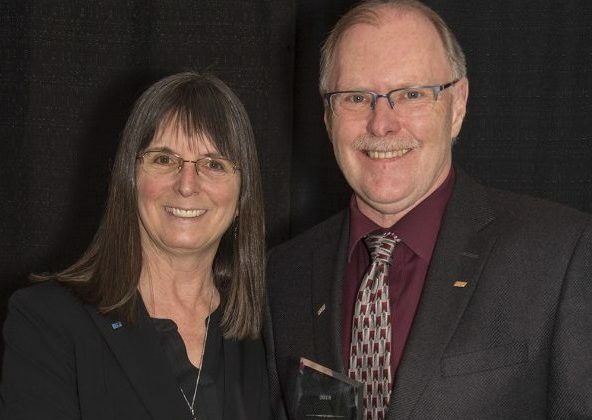 – A professional forester from Campbell River was one of three foresters honoured with an award in Kamloops last week. Bob Craven is a Registered Professional Forester (RFP). During the annual forestry conference, the Association of BC Forest Professionals (ABCFP), Craven was presented with a Distinguished Forest Professional Award. According to a release from the ABCFP, the award recognizes members for their outstanding contribution to the forestry profession, as well as furthering the values of the association. The release stated that Craven was nominated for his contributions and commitment to forestry, his colleagues, the public, First Nations, and the communities he has worked in. Craven has also been involved in various major legislative changes when it comes to forestry practices. He was one of the forest industry representatives who helped the province put together the Forest and Range Practices Act (FRPA). He has also worked with various environmental organizations to reach an agreement, which became the foundation of the Great Bear Rainforest Order. The other winners of the Distinguished Forest Professional Award are Bill Waugh from Bowser and Carman Smith from Barriere.